Navarre Properties vacation homes have all the comforts of your own home, but so much better. Staying in one of our waterfront vacation homes is like coming home at the end of each vacation day. 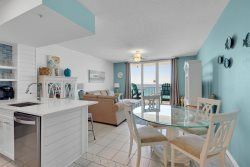 Whether youre making a dinner of gulf-fresh seafood in your fully equipped kitchen, saying goodnight in your full-size master suite or just taking in the beach sunset from your porch, theres no place like home away from home.